Setting up a website for your business is very important nowadays, with all this tech revolution it is clear that you simply have to have a nice presentation of your company online, no matter what business you are in. If you are running a restaurant, a great looking website is the best way to attract new potential customers and have many people interested in your restaurant. 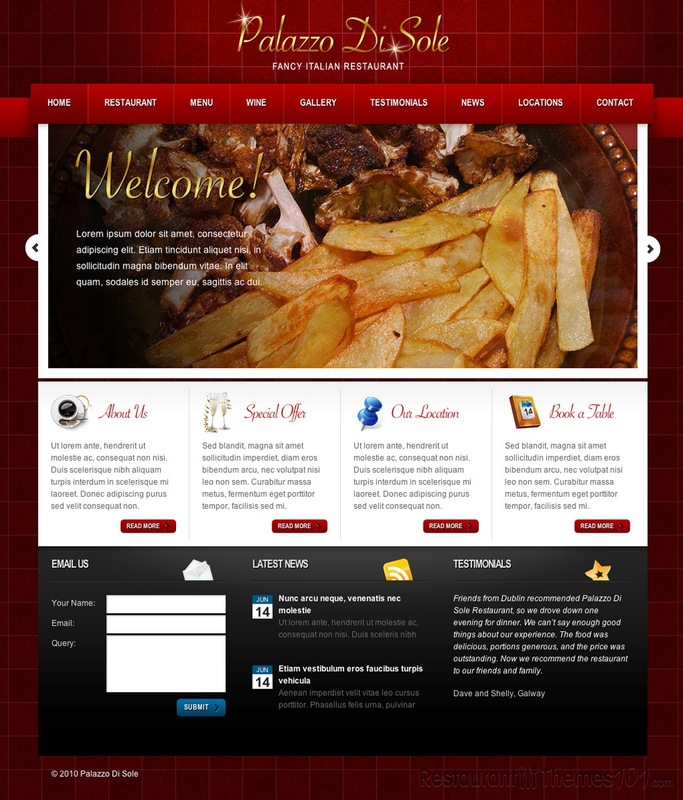 ThemeForest presents Palazzo Di Sole, a WordPress restaurant theme created by cr3ate. 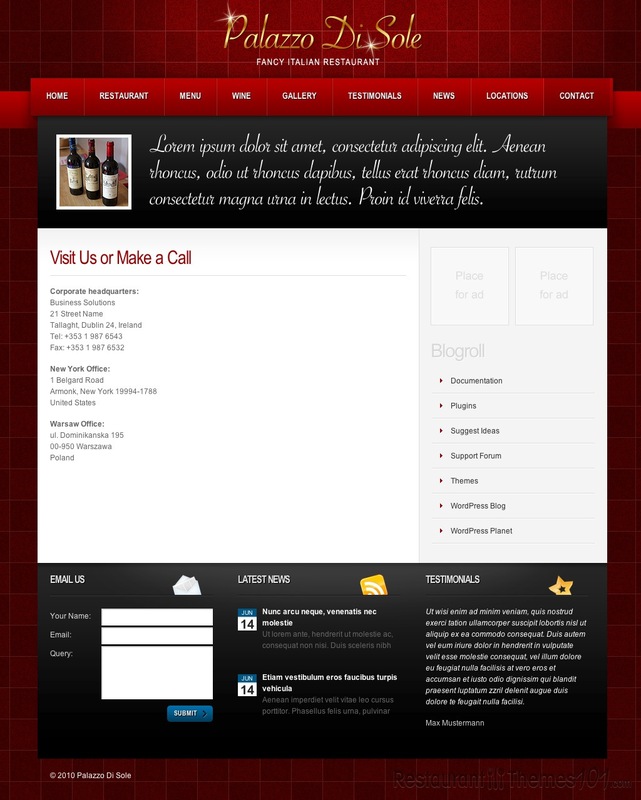 The theme has an elegant, unique, great looking layout that will amaze your visitors for sure with its nice set of colors, and warm, welcoming feel it has to it. This theme has many useful options, including a great content slider with which you can tease your visitors by showing photos of your incredible food, as well as with photos of your restaurant or anything else you would like to brag with on your homepage. 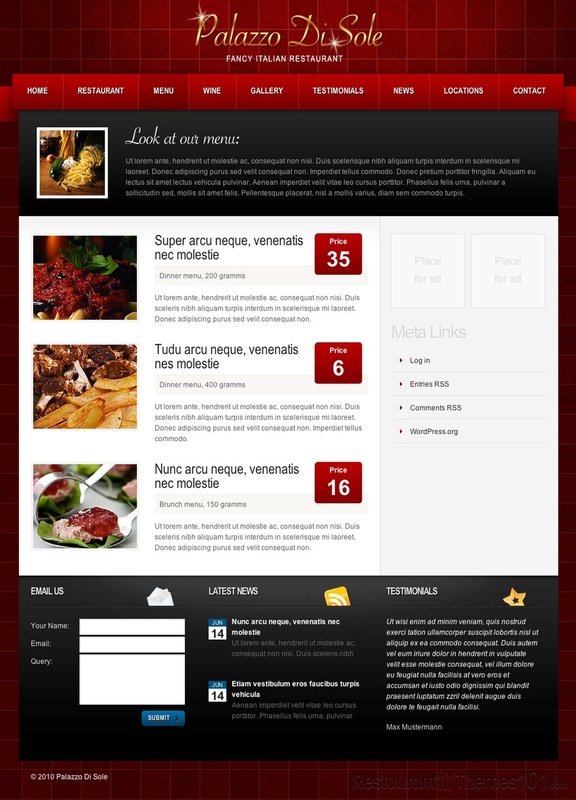 The food menu is very nice looking and very easy to create. You can create a menu with photos, descriptions and prices. This theme is widget ready and it contains several custom widgets, including featured page, latest posts, testimonials, etc. Palazzo Di Sole contains several different page types. 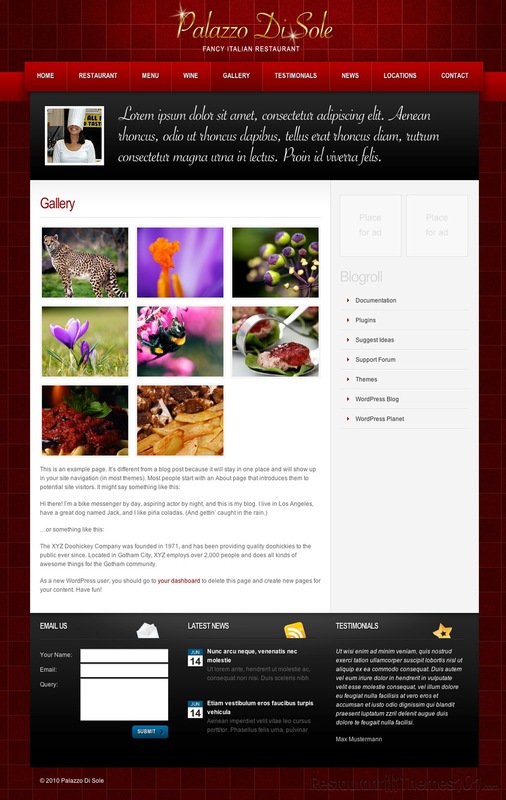 You will have a home page, a general inner page, a blog page and a gallery page. All of them look very attractive and interesting, not many themes offer such diversity in the pages, so this feature is a great plus. 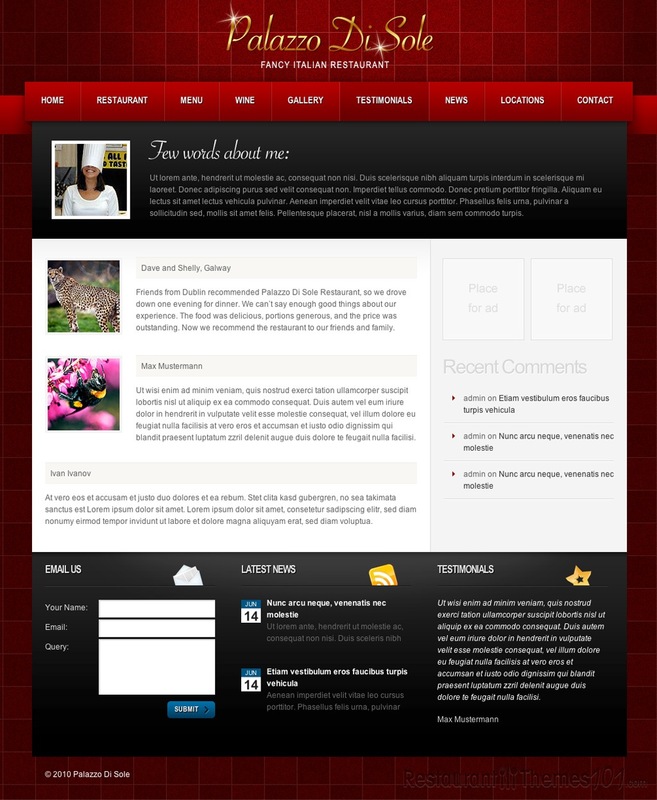 PSD files are included with the theme, and they make everything about this theme very easy to find and modify. It has a nice gallery section also, where you can share your images with your visitors. There are also custom page templates featured so you can display different types of content. 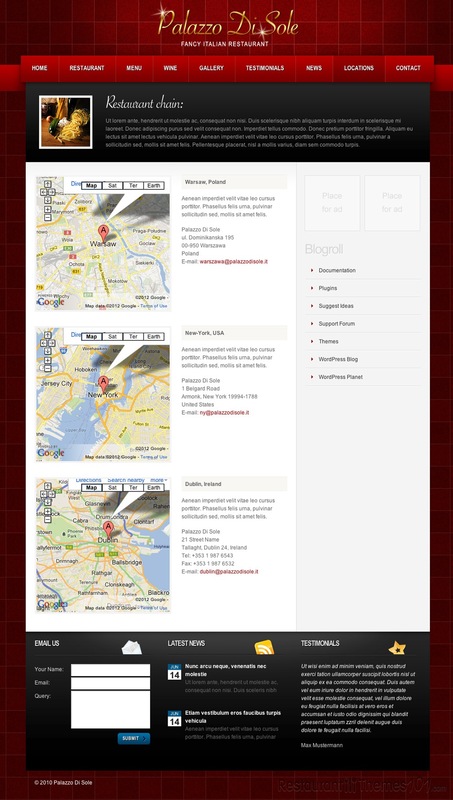 The custom post types will allow you to create great menu items, testimonials and location entries. The images in this theme are shown with a lightbox style when clicked, and the theme has a set of many custom shortcodes that will help you setup your theme just the way you like it. 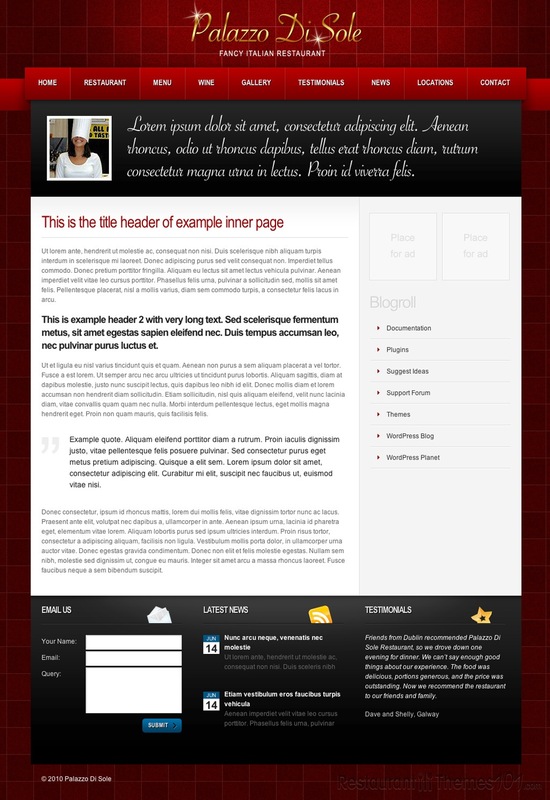 The Palazzo Di Sole theme is also available as a HTML template.